Quality leather dog collars are the dog accessories, that are the first need at the collection of each dog! 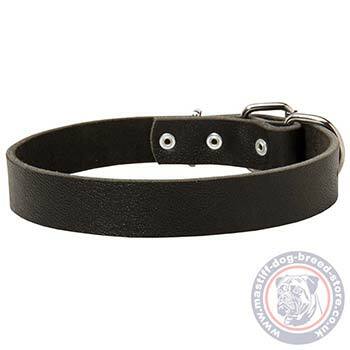 It is obvious, that one of such leather dog collars should be of plain, classic design to enable its wearing daily and in usual situations, such as vet visiting, daily dog walking and training. Get one of these soft and strong 1.2 in leather dog collars for your dog. Perfect choice of quality leather dog collars for medium and large dog breeds, and even for strong dogs, like Mastiff dog breeds. But simple style is not the only advantage of these leather collars. It is high quality product, that is made of 100% full grain genuine leather, that is well-done, selected and oiled. It is done for extra durability and to prolong the life span of the leather strap. So, now even after long time of use it will remain its fantastic look. These quality leather dog collars for Mastiff dogs are easy to adjust, easy to wear, easy to care and wonderful, safe and comfy for your dog! Some additional information about these Leather Dog Collars! 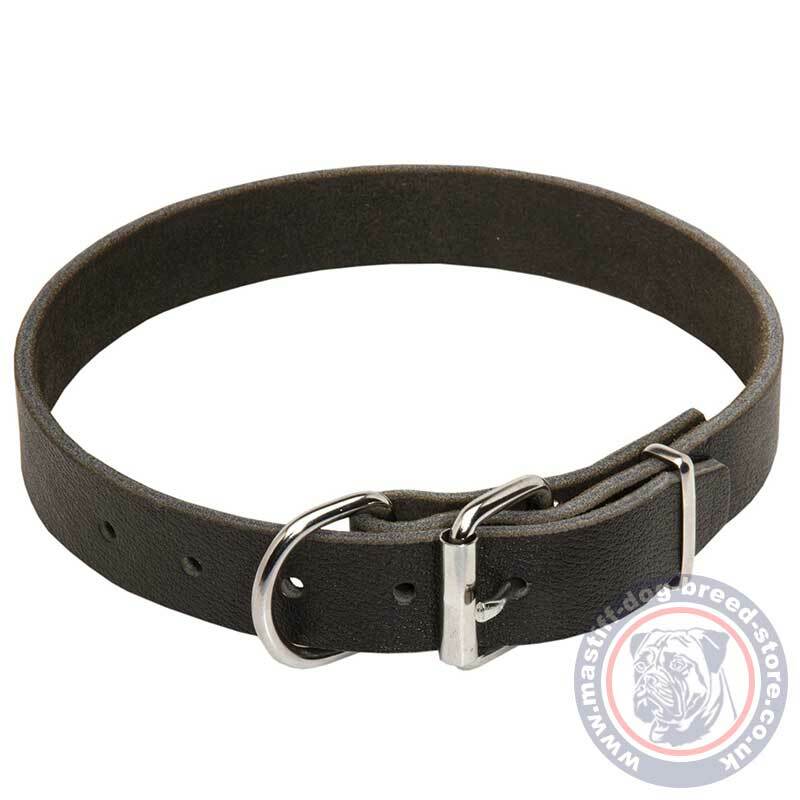 These quality leather dog collars are cetified internationally. genuine leather is soft, ecologically safe and non-allergic for your dog. NB! We strongly recommend to service all leather products properly. Do not neglect simple precautions and do not expose the collar to direct sun, moister and water influence. Use special leather creams, sprays etc.